Dr. Rosenthal comes to Greenville from the Washington, DC area where he had been in practice in northern Virginia for 10 years. During that time he was actively involved in resident teaching and clinical practice. He was the former Podiatry Section Chief at Northern Virginia Community Hospital. Dr. Rosenthal attended Pennsylvania State University, and Temple University School of Podiatric Medicine where he received his podiatry degree. He then completed a three-year residency at the Western Pennsylvania Hospital in Pittsburgh, specializing in reconstructive foot and ankle surgery, and medical management of foot and ankle disorders. During his residency he completed a reconstructive surgery fellowship in Torino, Italy. 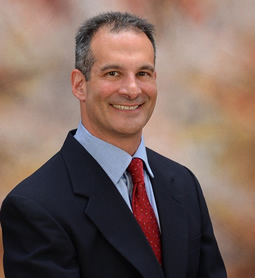 Dr. Rosenthal is board certified by the American Board of Podiatric Surgery. His clinical interests include bunion deformity correction, reconstructive foot and ankle surgery, disorders of the ankle tendons, and pediatric flat foot correction. When not working he enjoys spending time with his family, exercising, working on old cars, and watching the Pittsburgh Steelers.